Last season, New York Fashion Week’s diversity numbers swelled to record highs. More nonwhite, plus-size, trans, non-binary and over-50 models walked the Spring 2018 runways than in any season past. And yet, with so many of the week’s alternative castings concentrated within a relatively small number of shows, there was a question of whether the industry was actually transforming or whether a few progressive designers were carrying their peers; whether the castings were a precursor to even greater strides or if designers were just taking “diversity” to mean “Insta-bait.” And when genuine inclusivity champs like Tome, Tracy Reese and Helmut Lang chose Fall 2018 to go on hiatus/relocate, the answers to these questions got clearer. See below. This February, New York Fashion Week’s casting was the most racially diverse it has ever been, but barely. After surveying 82 major New York shows and 2,289 model appearances, we found that 62.7 percent of those on the runway were white and 37.3 percent were models of color, a slight — 0.4 point — increase from Spring 2018’s 36.9 percent. 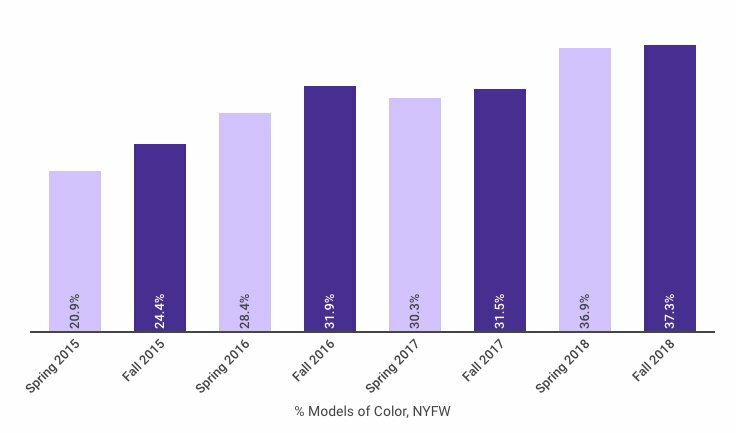 For comparison, the Spring 2015 season, when we first began tracking runway diversity, was only 20.9 percent nonwhite. 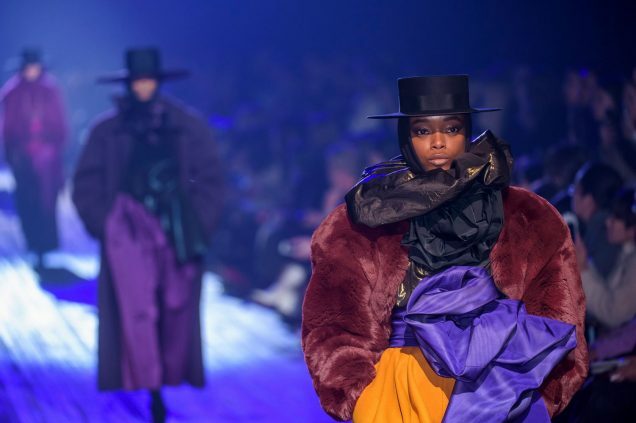 Of the 19 top models who racked up the most runway appearances this season, nearly half (8) were women of color: Shanelle Nyasiase (with 13 shows), Nandy Nicodeme (with 11) and Hyun Ji Shin, Jing Wen, Manuela Sanchez, Mona Matsuoka, Naomi Chin Wing and Yue Han (with 10 apiece). Fall 2018’s most in-demand model, Cara Taylor, walked in 14 shows. No transgender, plus-size or mature models made the top 19, though transgender model Teddy Quinlivan, who nabbed 9 castings, came incredibly close. Last season, two exclusively plus-size lines showed in New York, greatly inflating the total number of plus-size castings. Of the week’s 90 plus-size model appearances, 31 took place at Torrid, 25 at Addition Elle. Still, even excluding these outliers, Spring 2018 was a record season for body diversity with 34 plus-size castings in New York alone. With neither Torrid nor Addition Elle returning to the calendar this February, we’ll be looking at the number 34, not 90, for this report when considering last season’s data in order to assess the degree of consistent, sustainable change. For Fall 2018, 27 plus-size models walked in 8 New York shows, accounting for 1.2 percent of all castings. That’s 7 less than Spring 2018’s 34 and almost on par with Fall 2017, when 26 plus-size women walked in 9 New York shows. This marks the first time since Fall 2016 that the number of plus-size model bookings regressed. 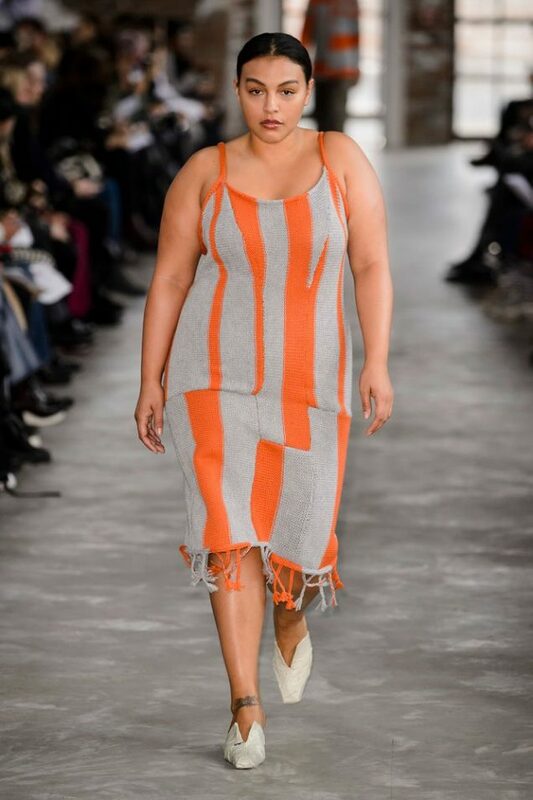 Per tradition, Christian Siriano and Becca McCharen-Tran of Chromat led the fight for plus-size representation on the runways. Ten plus-size models — Ashley Graham, Candice Huffine, Danielle Brooks, Georgia Pratt, Marquita Pring, Precious Lee, Tara Lynn, Sabina Karlsson, Seynabou Cissé and Chloe Vero — walked Siriano’s Glamorous-with-a-capital-G 10th-anniversary show. 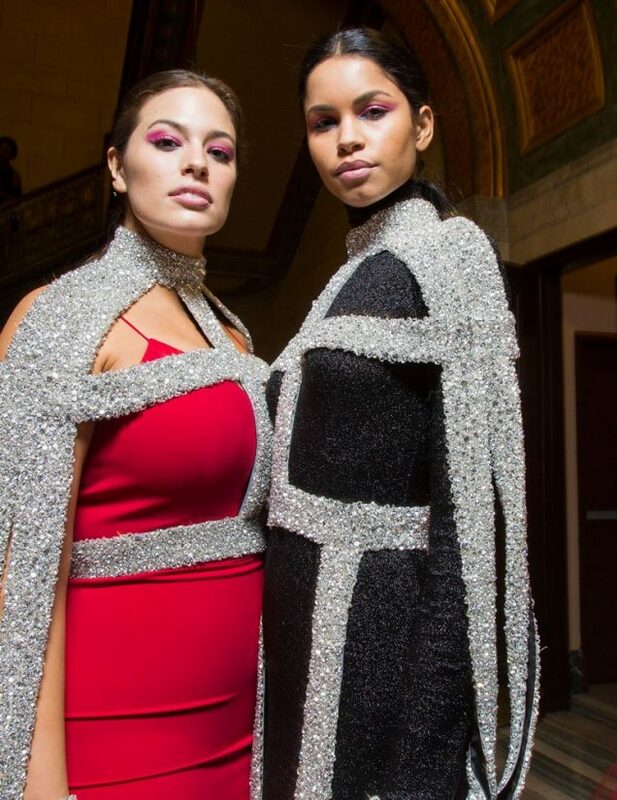 Chromat, meanwhile, was responsible for 9 of the season’s 26 plus-size model castings where Karlsson, Denise Bidot, Ericka Hart, Priscilla Huggins Ortiz, Tash Ncube, Victoria Gomez and more carried bags of Hot Cheetos down the runway. For the second season in a row, Paloma Elsesser strode the catwalk at Eckhaus Latta. Graham walked in her third Michael Kors show, Karlsson her second. Graham also turned up at Prabal Gurung, where only one curvy model was hired this time around. 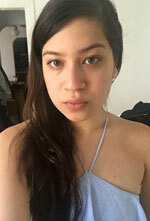 While it’s perplexing that, in the midst of a come-as-you-are revolution, size representation on the runways somehow fell, it is encouraging to see that most (19) of the season’s curvy model castings went to women of color and that the remaining 8 (white) models included 54-year-old Emme and 52-year-old Mia Michaels (at Chromat). Unfortunately, this runway setback isn’t completely out of left field: recently, the number of plus-size models landing international magazine covers and major print campaigns likewise stalled. Since model Teddy Quinlivan came out last September, there has been a tidal change for transgender visibility on the runways. Between Fall 2017 and Spring 2018, the number of transgender and non-binary model castings in New York jumped from 12 to 31, thanks in large part to Quinlivan’s 11 bookings. This season, this was the only category apart from race to see an improvement, however slight. 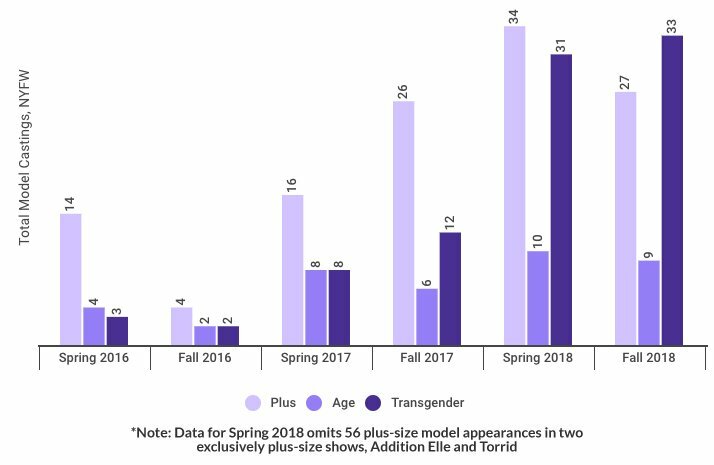 For Fall 2018, we saw a minor increase in the number of transgender and non-binary model castings: 33 transgender women and non-binary models (28 transgender, 5 non-binary) walked in 23 shows, besting Spring 2018’s number by 2. Another happy development: Chromat and other “edgy” labels weren’t responsible for a majority of the transgender and non-binary castings this season, which is a first. Quinlivan landed nine major castings, including Derek Lam, Tory Burch, Coach 1941, Alexander Wang, Jeremy Scott, Oscar de la Renta and Carolina Herrera. Marc Jacobs, who continually makes inclusion a priority, hired four transgender models: Hunter Schafer, Massima Lei, Ariel Murtagh and Dara Allen. Schafer also walked for Jonathan Simkhai and Mansur Gavriel, Lei for Mansur Gavriel, Eckhaus Latta and Milly, Allen for Prabal Gurung. 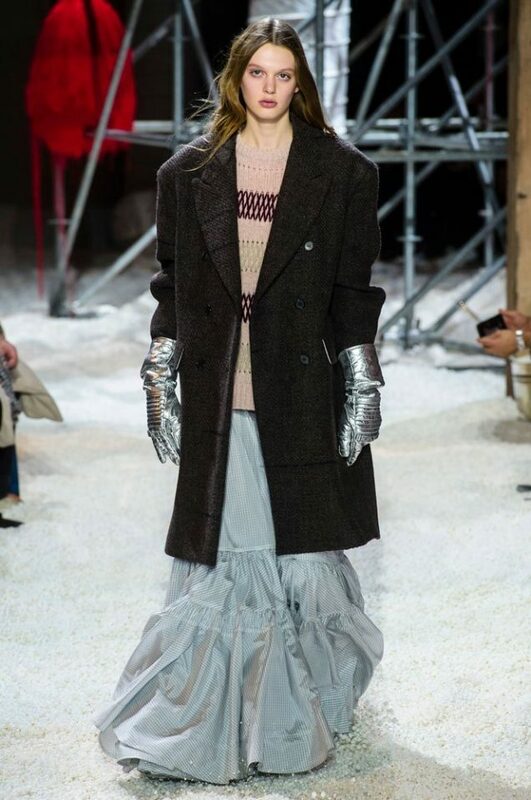 Murtagh, who made her fashion week debut at last season’s Calvin Klein show — after being handpicked by Raf Simons himself, we might add — walked the label’s popcorn-riddled Fall 2018 runway. At Chromat, trans activist Geena Rocero and actress-model Carmen Carrera took center stage. Ines Rau walked at Nicole Miller, Gisele Alicea at Vivienne Tam. Gender nonconforming model Phillipe Blond returned for another season of The Blonds. As they did in Spring 2018, non-binary model Avie Acosta strutted the Christian Siriano runway, this time joined by androgynous model Dylan Stephens (better known as @hookerlegs). Acosta also featured in the part human, part robot lineup at Philipp Plein. Though there’s still a mound of work to be done, it’s exciting to see a diverse group of transgender and gender nonconforming models — 10 of the 33 individuals listed above are people of color — walk alongside standard-issue models at a number of big-ticket shows. Especially knowing that none of these castings were inadvertent. Per usual, models over the age of 50 were the least represented category. Last season, 10 women in their 50s, 60s and upward walked in New York Fashion Week. This season, that number dipped slightly with 9 over-50 castings spread across 6 shows. Thus, Spring 2018 remains the most age-diverse New York Fashion Week on record with Fall 2018 trailing closely behind. Contributing to the lapse in age-inclusive castings was the fact that Tome, J.Crew and Tracy Reese — all of which have long featured women of different ages, ethnicities and sizes — did not hold shows this season. Those that remain must do better. As for the brands that did prioritize age inclusivity, Eckhaus Latta hired 2 women over 50, including fashion designer and artist Susan Cianciolo, who regularly models for the brand. Stout heiress and style icon Daphne Guinness made a cameo at The Blonds. Creatures of Comfort’s “celebration of womanhood” featured models of a wide range of ages, one of them over 50. Here’s a bit of good news: for the first time in recent memory, The (notoriously exclusionary) Row featured a somewhat alternative lineup, in that modeling legend Cecilia Chancellor walked. Unsurprisingly, Chromat was the only designer to present a more multifaceted interpretation of age diversity. Plus-size supermodel Emme made her second Chromat appearance, sharing the runway with fellow quinquagenarian Mia Michaels (of So You Think You Can Dance fame). It’s worth noting that nonwhite and transgender women were completely left out of this season’s over-50 castings, whereas Spring 2018’s tally included four women of color and one transgender woman of color. Thankfully, it seems the days of New York brands featuring zero nonwhite models are behind us. (All of the Fall 2018 shows we examined included at least one model of color and the vast majority had two or more.) This season, repeat offenders A Détacher and The Row finally got their acts together. The former cast 6 out of 16 (37.5 percent) models of color, the latter 10 out of 46 (21.7 percent) plus one model over the age of 50 (Cecilia Chancellor). Nevertheless, a handful of brands still produced inexcusably white casts. Vivienne Hu, Jill Stuart, Zang Toi and Katie Gallagher only included 2 out of 18 (11.1 percent), 4 out of 29 (13.8 percent), 2 out of 14 (14.3 percent) and 2 out of 13 (15.4 percent) nonwhite models, respectively. 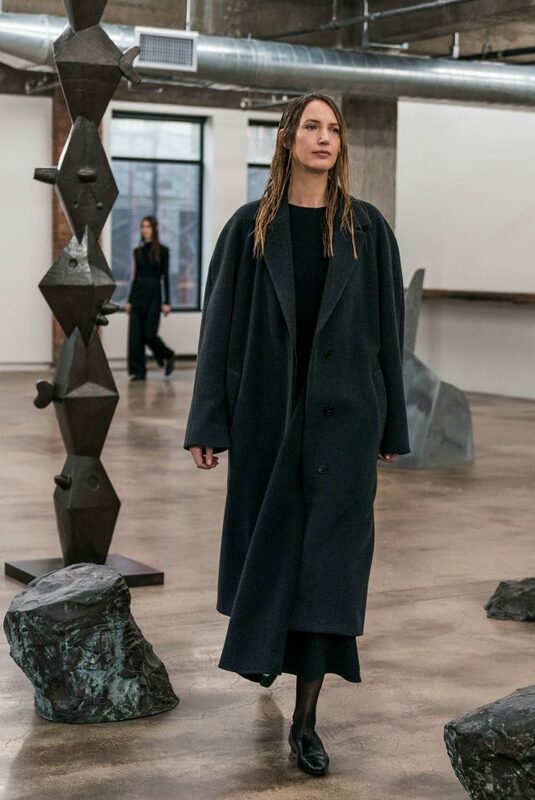 Even with several of its diversity tentpoles — Yeezy, Tome, Tracy Reese, J.Crew, Opening Ceremony, Kimora Lee Simmons, Helmut Lang under Isabella Burley — gone or on hiatus, the week brought forth several markedly inclusive lineups. 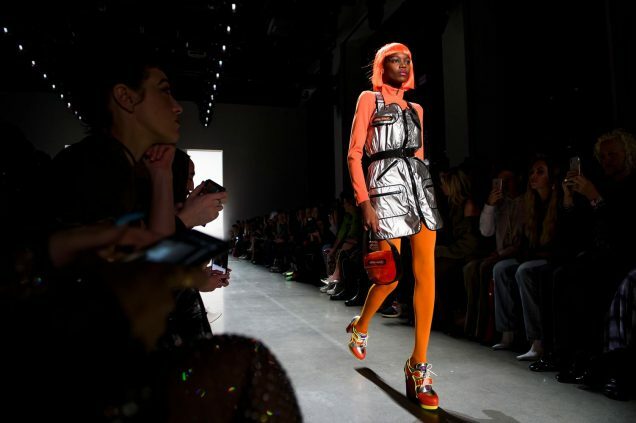 Shows like Gypsy Sport (80 percent models of color), Chromat (72.7 percent models of color), Matthew Adams Dolan (70.6 percent models of color), Jeremy Scott (70 percent models of color), Brandon Maxwell (70 percent models of color), Alexander Wang (65.1 percent models of color) and Vivienne Tam (62.5 percent models of color) gave onlookers a lesson in what an ethnically diverse runway actually looks like. Meanwhile, Christian Siriano, Marc Jacobs, Eckhaus Latta, Chromat and Gypsy Sport embraced the kind of comprehensive diversity we’ve been clamoring for. Siriano, who hired 44 percent women of color and two non-binary models, was responsible for 10 of the season’s 26 plus-size castings. Thirty-seven percent of the models in Marc Jacobs’ body-swamping clothes were women of color; four were transgender. Eckhaus Latta’s 40 percent nonwhite runway was one of the few on which women over the age of 50, women above a size 8 and women not assigned female at birth all saw themselves represented. At the reliably inclusive Gypsy Sport, 10-year-old self-proclaimed “drag kid” Desmond Is Amazing made his runway debut alongside several other nontraditional models. Chromat, too, had it all: trans activists, breast cancer survivors and prosthesis-wearers; models of a wide breadth of ages, sizes and ethnicities. That New York was able to, for the most part, maintain its Spring 2018 successes — and even build on them, in the case of transgender models — speaks to the fact that some established players and up-and-comers do truly care about diversity. Nevertheless, the stagnation in our racial diversity numbers, the losses in the plus-size and age categories, the infinitesimal growth in the number of transgender runway models reveal that the industry isn’t transforming as quickly as last season’s numbers seemed to indicate. More designers need to get on board and share the happy burden of progress.